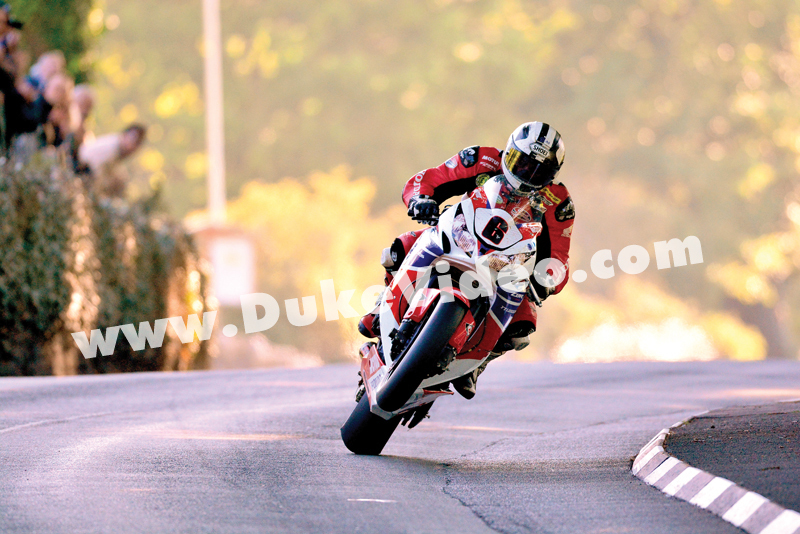 Michael Dunlop was on almost unstoppable form at TT 2013 with a run of four consecutive victories. This photo by Gavan Caldwell shows him in fine form on his way to win number one in the Superbike race - the first solo event of the meeting. The front wheel of the powerful Honda TT Legends CBR1000RR paws the air as Michael gets on the gas through Churchtown.